Azure Striker Gunvolt 2 is ranked in the 70th percentile of games scored on OpenCritic. It’s a great game for speed-runners and those looking to memorize the ins and outs of old-school platforming stages. Plus, the barrier for entry is much smaller because it’s an easier game. However, I found the first one more memorable in spite of its rudimentary platforming. I’d play that one first to find out what this series is all about. Azure Striker Gunvolt 2 is everything a sequel should be. It builds on the strengths of the original with its stylish visuals, tight controls and a fluid combat engine that reminds me of how I felt when I was playing some of my favorite 2D platformers in the past. Azure Striker Gunvolt 2 is not only a must-buy game for existing fans, anyone who finds 2D action games appealing should definitely pick it up. Azure Striker Gunvolt 2's levels play things a little close to the chest, but the sheer breadth of tactics opened up by the inclusion of Copen make it even easier to recommend than its predecessor. It's a jolly old platforming time, and I hope it reaches the level of success it was destined to hit. Azure Striker Gunvolt 2 is a refined version of the first game, with a second campaign that focuses more on action than picking your shots. This makes it an excellent choices for fans of the first installment and newcomers alike. 'Azure Striker Gunvolt' and 'Azure Striker Gunvolt 2' feel like the next evolution of the 'Mega Man' series. While it definitely has room to grow, the 'Azure Striker Gunvolt: Striker Pack' contains two games that aren't afraid to take chances. It's a refreshing take on a structure that was showing its age in 1993. If you're looking to get the taste of 'Mighty No. 9' out of your mouth, be sure to pick this up. Azure Striker Gunvolt 2 doesn’t radically change the formula of the first game beyond adding a new character. Azure Striker Gunvolt 2 is completely solid. The basics of platformers are left in place, whilst new aspects are brought in to keep it fresh. The story and characters are very well done for this type of game, and the aesthetics, level design and thought put into it shine through in many ways. Including the fact that it can be played twice with the two different characters, as well as challenges and equipment to farm, there is plenty to keep players around. As far as platformers go, this is great, and harkens back to when they were a major genre. Hopefully we will see more of this type of game. Despite the uninspired and often downright invasive story segments, the core gameplay was consistently fun and engaging throughout the 7 hours it took me to complete both campaigns. Azure Striker Gunvolt 2 is a satisfying experience that never lets up with its distinct, tightly-paced action and challenging platforming. Azure Striker Gunvolt 2 is an amazingly well crafted action platformer, it’s just not a well written one. Spirit art is amazing, and game-play is fun once you struggle to figure it out what does what. This could have been an amazing game if they took the time to explain major elements of how it works and as well as the story. If you are aching for a Mega Man-like platformer and in need a 3DS game, Azure Striker Gunvolt 2 is the way to go. Gunvolt 2 is more like an introduction to the action-platformer genre and less like a tribute to those classics of the past. Visually, the game has a lot to love and I can definitely recommend this one to fans of the genre or players who have never tried a game like this. 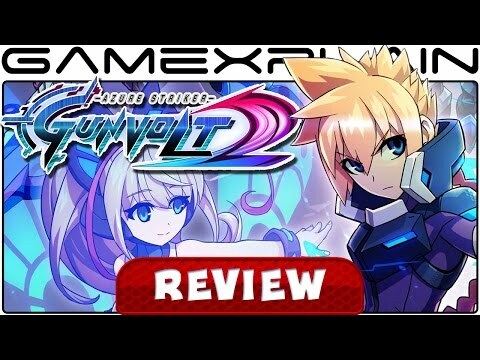 Azure Striker Gunvolt 2 is a good game, and while it really plays it safe by being so similar to its predecessor, it's an easy recommendation for action genre fans. For everyone else, however, it's a bit more of a mixed result. The level design and bosses are uneven, resulting in some levels feeling fun and challenging while others are less enticing. Couple in the save system issues, bland plot and incessant dialogue, and it's easy to see how some wouldn't fall in love with this title.However, it's a solid action title. The two characters are different enough to provide good variety, there are a lot of items to help customize your approach, and if you're up for replaying the game there's a lot to work at. If you liked the first Gunvolt, love Mega Man, or wish Mighty No. 9 would have been better, this game is for you. Those looking for something fresh, an interesting story, or an action game to play in bite-sized pieces on the go may want to think twice. Azure Striker Gunvolt 2 follows in the footsteps of its predecessor all too well for its own sake, insofar as it's often difficult to point out any outstanding differences between the two. 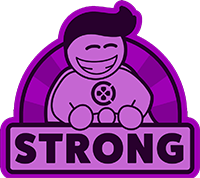 This is not necessarily a handicap, as the sequel is a quality action platformer that features an exquisite visual environment and fine-tuned gameplay. Azure Striker GunVolt 2 is a good game in its own right. It has an amazing art style and solid mechanics, but its emphasis on a lackluster story holds it back and limits it to a specific audience. The Copen campaign keeps things fresh and even though the level design squanders his abilities, he’s fun to play as. For those who, like me, were hoping that Gunvolt 2 would sweeten the pot a little bit, prepare for disappointment. I think there’s a very solid core to the Gunvolt series that approaches Mega Man-like combat in a very interesting way, but everything else needs work.